I am turning 40 this year. After turning 39, I struggled with turning 40, the thought would take my breathe away and I felt sick. I don't even know why, it's so dumb, I rarely feel like I am 40, sometimes I think I am still only 25. So it's strange that for at least six months, I was in a state of anxiety every time I thought about turning 40. It probably had something to do with my depression and as I move out of that state, I am less encumbered by turning 40 and more willing to face it head on with a smile on my face. So I have come up with a list of things I am going to do in the 365 days that I am 40. Some of them are things I should have done years ago, but I have neglected and some are brand new who would have thought I would want to do this items. 5. Travel to New York City. Five Places I want to visit this year I turn 40 this year, 40!!! Of all the milestone birthdays I have had, 25, 30 none of them have hit me like this one, so I have plans to spend this birthday year doing things that I want to do. So here are my plans for travelling through my 40th year! 1. Mexico (or somewhere tropical): this is a mom and daughters trip with my mom and sister. We'd like to go on the February break but maybe we will just go somewhere together with two of the most important women in my life! I'm so EXCITED!!! 2. The East Coast: this is a trip I want to do with my husband for a week or two this summer. Just us, like a honeymoon or a marrigemoon (is this a thing, it should be). The boys would be with my mom or sister or in laws and my husband and I would be free to enjoy some time alone without the children. So imagine if all personal vehicles were banned, the only vehicles that could be on streets or highways were buses, trains, transport trucks and all people with regular lives had to use public transportation. This is what I believe would happen. I believe we would build our communities stronger because the communities we live in would be our main source for entertainment and supplies. Since the internet is a thing because it's not like we haven't had all the this technology online grocery delivery would peak. News in our communities would become more important and the global news though important might not be as high of a priority since distance is now a real hindrance. This year has been a rollercoaster of new things. We moved into a new classroom, my team of paraprofessionals doubled in size and some extra changes were made and then undone in the first month of the school year. To say it's been tumultuous, would be an understatement. My classroom is two rooms now, both are used as teaching areas but one area we've set up as a chill room. It has a lego table, puzzle table, a bean bag crash mat, a time out room (this is a room in a room that has a physio table and things to help with person needs of students) It also has a lot of twinkle lights to set a mood in the room of calm and relaxing. Friday Five:Five Movies I want to see this year! 1.Toy Story 4 (and all other Disney titles): Let's be honest here I LOVE Disney and I enjoy watching all their movies so I cannot wait for the four other Disney titles to come on in 2019. 2. The Goldfinch: I read this book and it was so GOOD! I am so excited to see it being made into a movie and I know that this is one I will see in the theatre! 3. Men In Black International: I loved all the Men In Black films and have had my kids watch them for movie nights so this will be a great family date for all of us! 4. Little Women: I mean this was a book my dad got me as a little girl so I've read this book and seen all cinematic adaptations of this movie and I will watch them all. Just a little bit of nostalgia for me! 5. The Escape Room: I don't usually go for scary movies, definitely not horror movies but this looks like a great suspense film and I think I will go see this soon with a girlfriend! I've begun a new challenge. A new old challenge. I am going to be using the Arbonne 30 Day Healthy Living System to kick start my new year. This means cutting down the refined sugar, the simple carbs, the salty snacks and all that liquor, ok liquor, I don't really drink that much so really, that's not a huge problem. 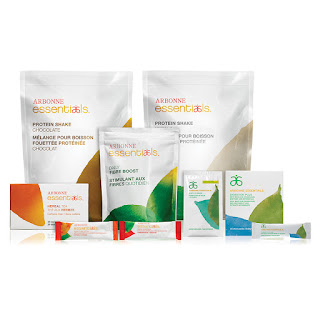 The 30 Day Challenge is a way to reset your life by using the Arbonne Essentials System of Protein Shakes, Detox Tea, Greens Balance and more to help you make healthy choices without going into the full purge that some detox systems have you do. It's about eating whole foods, real foods, and being mostly plant based. It asks you to give up caffeine (this will be the hardest part), liquor, sugar, simple carbs and such and drink more water, eat more veggies and take in proper nutrition. Let's get philosophical for just one day a week and consider questions that maybe we wouldn't consider otherwise. I am going to start this first question out from a book that I love and I am about to read the sequel to sometime in the next few days. So this one isn't really about what your life would be like, but what would your first few moments in Heaven be like. Mitch Albom wrote the novel, the Five People you Meet in Heaven, and it chronicles the five people that had a huge impact on the main characters life or whom the main character had an impact on their life. It's much like the movie, What dreams may come. Who's going to help you set up your heaven? My five people are those who have impacted me, whom I feel a connection.